Join us! 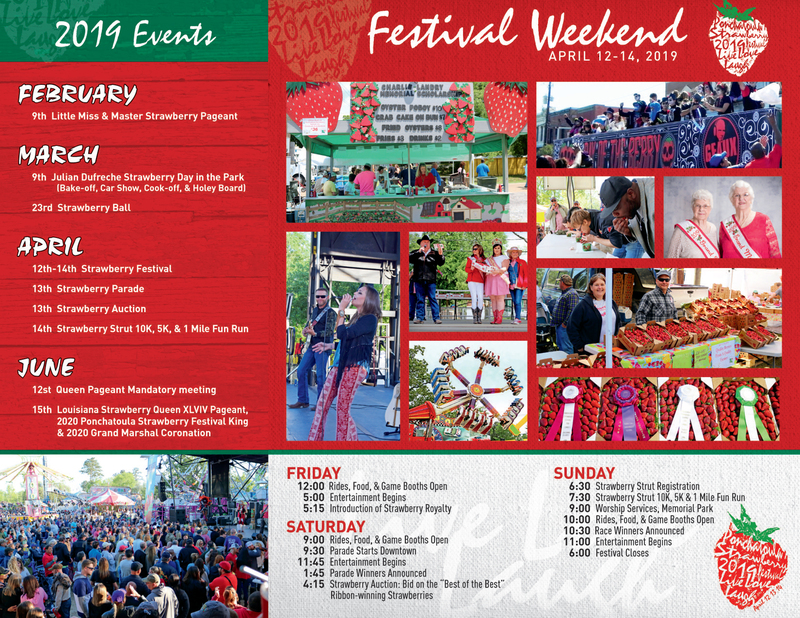 April 12-14, 2019! 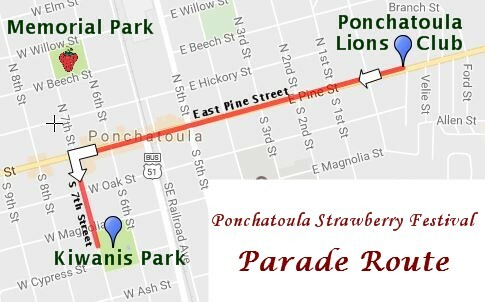 Welcome, and thank you for visiting the official website of the Ponchatoula Strawberry Festival! 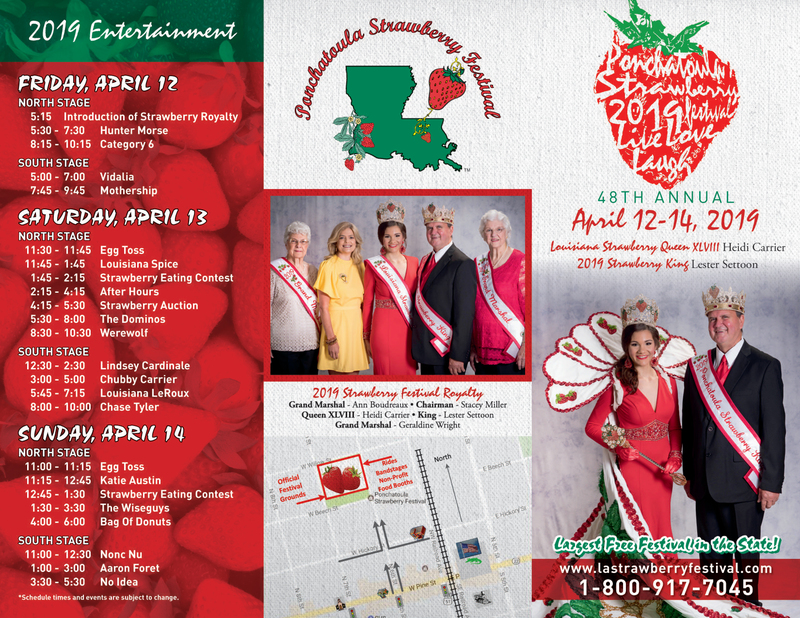 Join us for the 48th Annual Ponchatoula Strawberry Festival on April 12-14, 2019 in Memorial Park in historic and beautiful Ponchatoula, Louisiana. 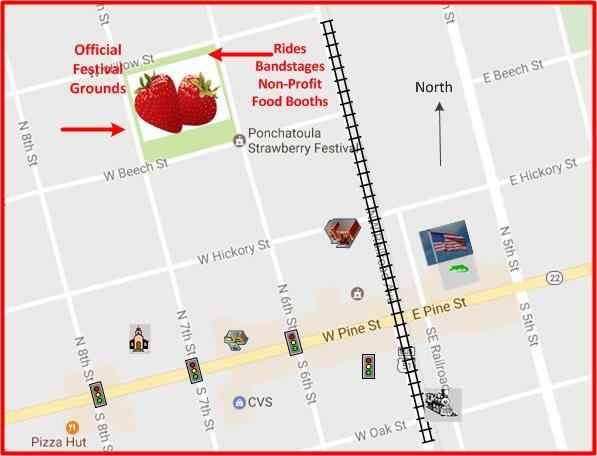 The Ponchatoula Strawberry Festival is a FREE family friendly outdoor festival, filled with lots of great food, strawberries, entertainment, and fun for people of all ages to enjoy! With two music stages and food booths supporting local non-profit organizations, the festival grounds are the place to spend the weekend. 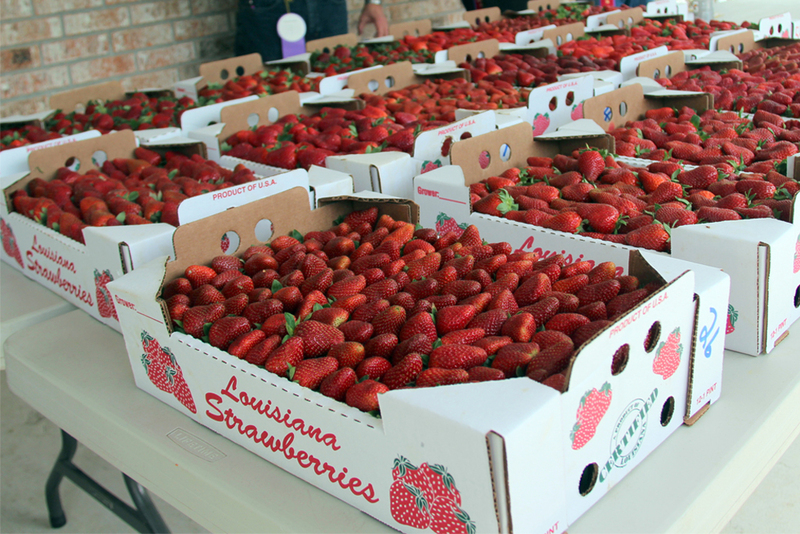 We look forward to seeing you at the Ponchatoula Strawberry Festival, where we promise you will have a BERRY good time!